Hold my beer, says Torch 3D, Inc.
On Monday, the company introduced a new Torch mobile app that will enable users without coding knowledge to create and edit 3D content and then view it in augmented reality. "Today is a milestone for Torch. This release sets a new high bar for 3D design tools while also dramatically lowering barriers to entry to the 3D world," said Paul Reynolds, Torch CEO and co-founder, in a statement. 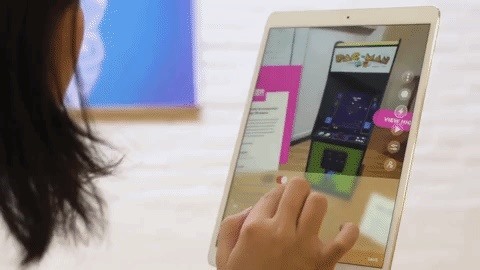 "It's estimated there will be a billion 3D-capable mobile devices by the end of this year, and there are close to 5 million mobile app designers who already know how to design for them. With Torch, designers can finally tap the power of 3D to bring all their existing skills to this new — and sometimes intimidating — world." Since it is running off a smartphone or tablet, the app also gives users the ability to leverage mobile platform features such as image detection, payment, voice input, social sharing, location services, and third-party app integration. Furthermore, because everyone has at least a smartphone (if not a tablet as well), collaborating with others on 3D projects becomes easier as well. "Until now, designers faced a number of challenges when trying to access good 3D assets, from finding content to just getting those models to work in their design tools," said Alban Denoyel, CEO and co-founder of 3D content provider Sketchfab. "With Torch, you can just search, then drag and drop Sketchfab models into a scene and start prototyping. Torch's focus on making 3D prototyping easy is a perfect complement to Sketchfab's focus on providing diverse and qualitative 3D assets." In addition, the company announced that Natasha Jen, a partner at design studio Pentagram, has joined Torch as an advisor. Jen's areas of influence in the role include visual communications design, product roadmap guidance, and design community engagement. "Designers were afraid of 3D before, but Torch has made the impossible possible," said Jen. "It's incredibly exciting to see and experience that sketching in 3D can be as fluid as in the 2D software that we're used to. We've been using Torch for a few weeks and we have lots of ideas to experiment with." As demand for augmented reality experiences grows, so, too, does the demand for software that simplifies the process of developing 3D content and immersive experiences, particularly for programming novices, or make it more convenient, such as web-based tools. Amazon Sumerian, AR Designer, and ZapWorks are among the options available to coding noobs. 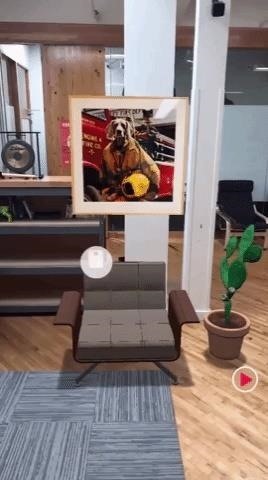 Snapchat's Lens Studio and Facebook's AR Studio promise similar ease of use. 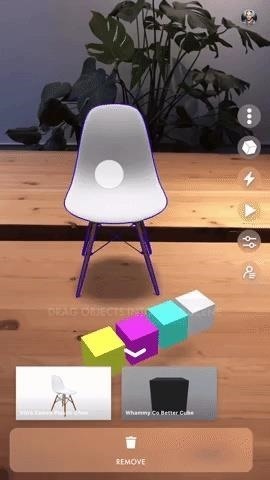 Torch manages to not only simplify AR content creation but also make it more convenient than ever through a mobile app.